Motorola is now officially listing the Moto G Forte on its Mexican website, thus confirming the existence of this Moto G variant that we heard about last week. It turns out that the Moto G Forte is just a regular Moto G, but one that comes encased in a Motorola Grip Shell out of the box (this Grip Shell is offered for an extra $19.99 in the US). 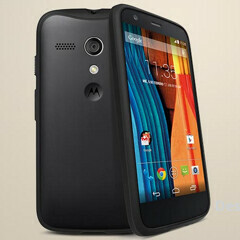 We’re not sure why Motorola considered that this requires an added name to the Moto G.